City hopes to agree a formal partnership with the Ministry of Health in Togo, providing expertise from the University through collaborations on teaching and learning for health-related courses, including staff and student exchanges. Welcoming Mrs Abra Dackey, the Minister Councillor to the Togolese Embassy in the UK, to an event at City towards the end of May, staff from the School of Health Sciences discussed all aspects of the partnership following the recent draft partnership agreement. The event builds on a recent trip to the West African country by Rosa Benato, Judith Sunderland and Professor Ros Bryar from the School of Health Sciences. Thanks to a partnership development grant from the Tropical Health Education Trust (THET) and in collaboration with Vision Togo, a UK-based charity, the City team spent nine days in Togo exploring options for collaboration in teaching and learning and also drafting a formal partnership agreement. 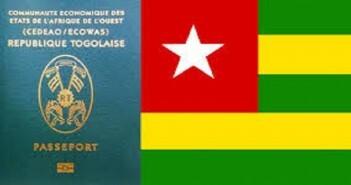 At present, lecturers in Togo need to leave the country and go to neighbouring countries such as Mali, Cote d’Ivoire or Burkina Fasso to complete an educational programme such as the Academic Practice course offered at City. This results in few qualified lecturers, as leaving their family for up to a year is an unpopular choice for many people. While in Togo, the team also found that clinical training equipment was often very out of date, with college libraries very sparse and internet access almost non-existent. Patchy electricity supply and regular power cuts also add to the challenges, with all these factors making teaching and learning nursing and midwifery in Togo a challenging enterprise. “Community staff struggle to visit rural villages and currently have to walk all day to do their rounds, or take a taxi. Raising some funds to support the purchase of a couple of motorcycles has been added to our list of priorities in the partnership agreement with the Togolese Ministry of Health, a draft of which was collaboratively developed during our visit,” she added. Since their return in late April the City team have met with the Togolese ambassador and other embassy staff. “They are very supportive of the proposed partnership and draft agreement which we plan to have signed off as soon as possible. This will be followed by the submission of a full bid to Tropical Health Education Trust (THET) to enable all partnership and exchange activity,” said Rosa.